To Life! To Life! L'Chaim! On June 16, 2014, the Abq Jew Facebook Page achieved 1,812 Likes. and fit into my marketing plan? 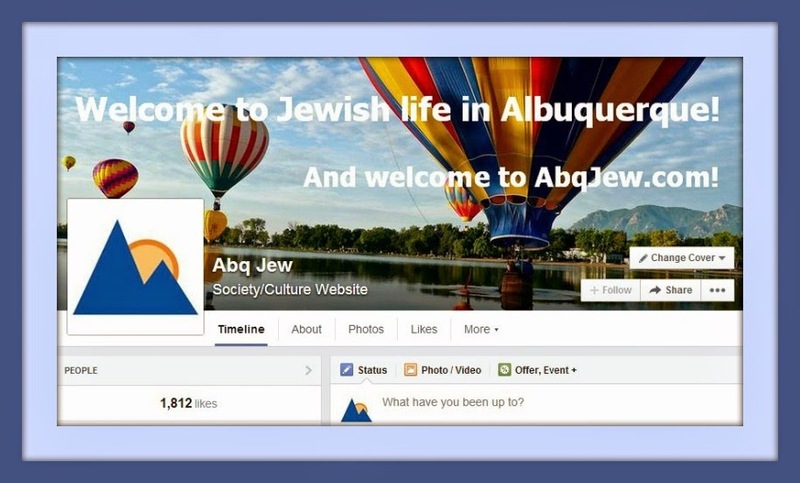 The Abq Jew Web gets more than 3,000 pageviews per month, from more than 900 visitors. The Abq Jew Blog gets more than 9,000 pageviews per month from more than 1,000 visitors. Each Abq Jew Blog post is syndicated to Facebook, Twitter, Google+, LinkedIn, and Duke City Fix. Abq Jew has an email list of 300+; plus 1,812 Facebook page likes; 1,140+ Twitter followers; and 270+ LinkedIn connections. Google’s #1 search engine consistently produces Abq Jew high up on page 1. Advertisers! Partners! Give Abq Jew a call!